On-demand video overtakes pay-TV for the first time | What Hi-Fi? Netflix remains the most popular video on-demand subscription service, though Amazon Prime Video has slightly larger year-on-year growth. Ofcom’s first annual Media Nations report (which replaces both its previously published PSB Annual Report and Digital Radio Report) has found there are now more subscriptions to Netflix, Amazon and NOW TV than there are to ‘traditional’ pay-TV services such as Sky, BT and Virgin, according to BARB Establishment Survey data. In Q1 2018, pay-TV subscriptions in the UK totalled 15.1 million, while the leading three on-demand video services came in at 15.4 million - a figure that includes subscriptions to multiple on-demand services within one household. 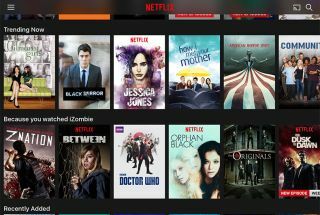 The data discovered that over 39% of UK households (11.1m) havet at least one on-demand streaming service subscription. Amazon Prime Video had a slightly larger year-on-year growth than Netflix, up by 32.7% to reach 4.8 million subscribers in Q1 of 2018. But Netflix remains the most popular subscription video-on-demand service with a presence nearly double that of its closest rival - in Q1 2018, it was in 9.1 million UK households, a 32.2% increase over the same time last year (though not as impressive as it had hoped). Internet-connected dongles or boxes (such as the Apple TV 4K and NOW TV set-top box, Google Chromecast, Amazon Fire TV stick and Fire TV 4K) are also increasingly popular, with around one in ten (11%) households using them to access on-demand services (up from 5% in 2016). Subscription on-demand revenue represents the largest annual growth – up by 38% in 2017 – while growth in pay-TV subscription revenues dropped by 2.7% year-on-year. The pay-TV model still banks a lot more, however, with total revenues of £6.4bn compared to streaming services’ collective £895m. Ofcom puts this streaming growth down to the rise of smart TVs and streaming dongles/boxes, as well as the fact 80 per cent of homes have a fixed broadband connection, with 58% of these considered superfast (i.e. with download speeds of 30Mbit/s or higher) as of November 2017. Broadcast TV is still the most common way to watch TV, however - it makes up 71% of all daily viewing. BT G5 vs Sky Q vs Virgin V6: which is the best 4K TV service? Freeview Play: what is it? How can you get it?